Dedicated to progress in the science of air traffic control and the preservation of a safe flight environment. ATCA - Bringing People Together from ATCA on Vimeo. Established in Washington, D.C., in 1956 by a group of air traffic controllers, the Air Traffic Control Association has been from the outset dedicated to progress in the science of air traffic control and the preservation of a safe flight environment. It provides a forum in which those concerned can address the myriad issues inherent to the development of viable air traffic control systems and aviation infrastructures, and the ever increasing demands on the global navigable airspace environment. Those in the aviation community -- the providers of air traffic control, system architects, manufacturers, suppliers, system operators and users -- join together in ATCA to share their collective experience, knowledge, and efforts in pursuit of common goals. ATCA is unique in representing a broad spectrum of civil-military cooperation typical of global flying activities. ATCA's Annual Conference and Exhibition provides North America's largest and most diverse venue for aviation-related technology, attracting thousands of civilian and military members and representatives from around the world. ATCA also holds technical symposia, cyber security summits, and various high-level collaborative meetings and briefings domestically and throughout Europe, the Pacific Rim and Latin America. ATCA’s Civil Military Air Traffic Management Summit, known as CMAC™, attracts civil and military aviation leaders from around the world. The ATCA publications, The Journal of Air Traffic Control, Conference Technical "Proceedings," and the ATCA Bulletin, are prominent sources for the latest news and achievements in the field. 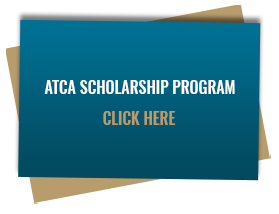 Learn more about the many benefits of ATCA membership, and become a member today!